The name’s Wilson, Wade Wilson. Or is it Jace Burn, suave secret agent and super-spy? After a botched job involving a prized tiny horse, Deadpool finds himself somewhat financially challenged and agrees to take a gig that’ll leave a philanderer in no doubt that his secret has been discovered, uncovered and dealt with permanently. 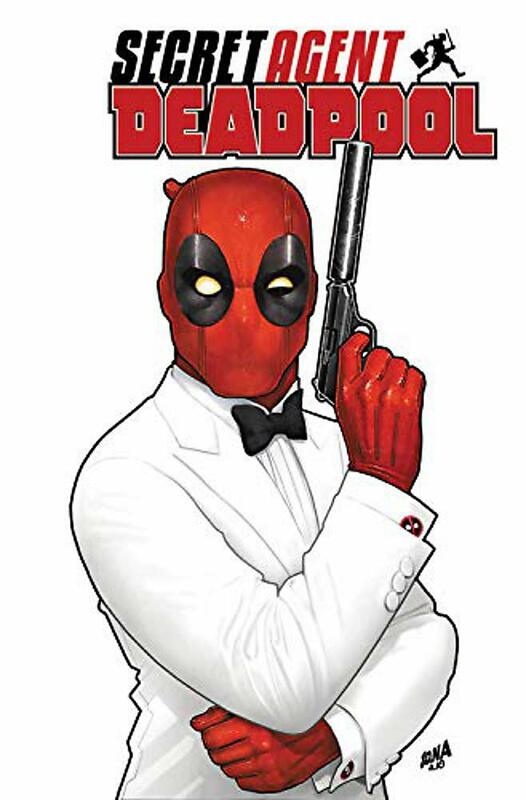 What starts out as a relatively straight forward, simple assignment soon becomes the job from hell and following a tragic and entirely preventable Deadpool influenced inferno and a case of horrific injury inspired mistaken identity, Wade finds himself in the loving bosom of an intelligence agency who dispatch him to locate a scientific genius who holds the key to changing reality. Only trouble is, Wade or is it Jace, isn’t the only operator and agent of a secret organisation looking for the missing scientist and in a frenzied tale filled with more twists and turns than the waltzer at Coney island, Deadpool finally gets to live out his secret agent fantasy (hey, we’ve all got one) for real and in typical Wade fashion, which is more akin to Derek Flint than James Bond, ends up saving the world. Again.